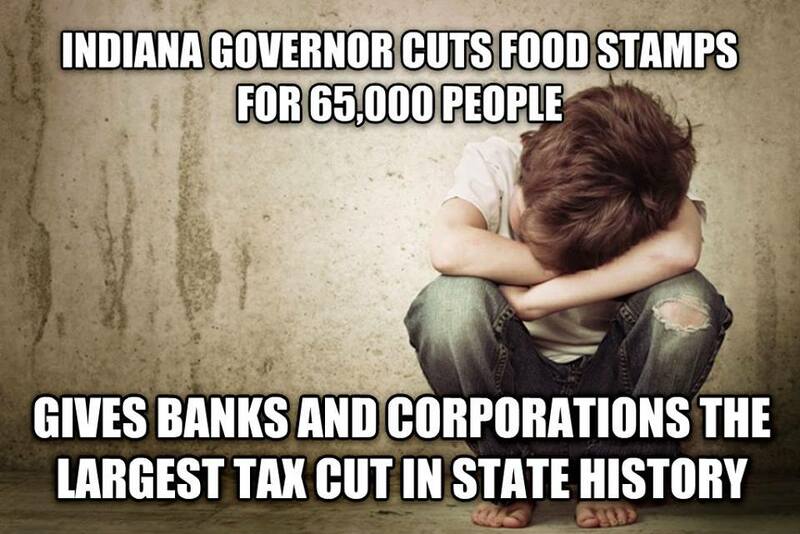 Republican Governor Mike Pence of Indiana eliminated food stamps for tens of thousands of residents, only 5 months after handing banks and corporations the largest tax cut in state history. Indiana now has the second lowest corporate tax rate in the US. Share to spread his SHAME!